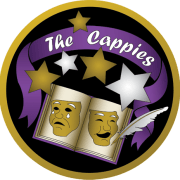 The Cappies, is a program through which high school theatre, English, and journalism students are trained as critics, attend and submit written reviews for shows at other schools in their local districts, and then get published in major news outlets. Specifically, low-income area students are directly targeted for outreach to publicly show high school students performing positive acts in their local communities, rather than only shine the light on negative incidents that occur. We provide college letters to all critics for submission with their applications. The program was created post 1999 Columbine tragedy in which only negative actions were depicted by teen children. Our goal is to continually show the good that children are capable of without adult prompting of good will. The Cappies (Critics and Awards Program) is an international program for recognizing, celebrating, and providing learning experiences for high school theater and journalism students and teenage playwrights. There are currently 13 Cappies programs in the U.S. and Canada, which range in size from five to 55 participating high schools. Within each program, every participating high school selects three to nine students for a critic team. After receiving extensive training in theater criticism and review writing, they attend plays and musicals at other high schools in their area. They write reviews (of roughly 400 words) on deadline. Volunteer teacher-mentors lead discussions and select the critic-written reviews that are later published by area newspapers, with student bylines. The programs operate in and around Baltimore, Maryland; Cincinnati, Ohio; Dallas, Texas; El Paso, Texas; Ft. Lauderdale - Palm Beach, Florida; Houston, Texas; Kansas City, Missouri; Melbourne, Florida; Northern New Jersey; Orange County, California; Orlando, Florida; Philadelphia, PA; St. Louis, Missouri; Salt Lake City, Utah; Springfield, Missouri; Washington, DC; Edmonton, Alberta; and Ottawa, Ontario. Would you recommend CAPPIES OF THE NATIONAL CAPITAL AREA?